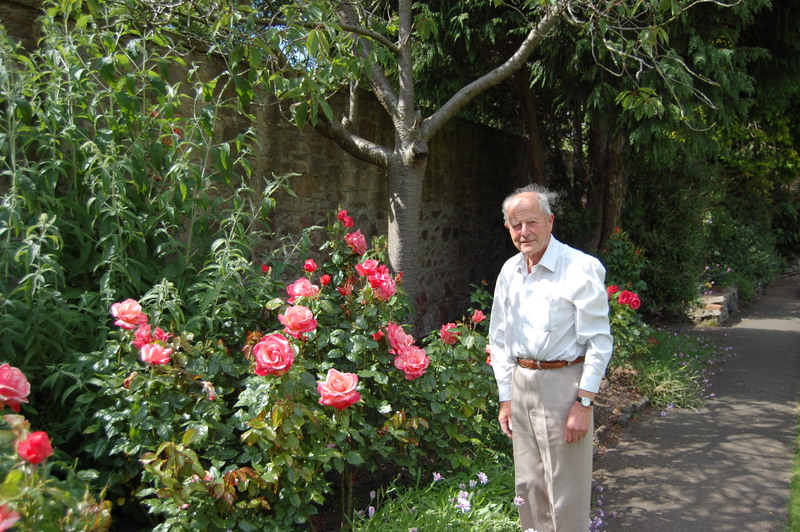 It was raining and Andy Murray was playing but still about 6 of us turned up to walk round with lovely big umbrellas and see this remarkable garden cared for by John Chalmers – pictured. He lives just next to the Club and keeps bees in his own garden. He has brought Hebes from New Zealand and renovated the other beds, as well as his wonderful roses which surround the playing green. He reissued an invitation for 6th July when the roses will be more fully out and the weather may be better. Alison Cunningham reports that I missed a most interesting trip! We had a great day! The sun shone all the time and the gardens were marvelous. The first one was really inspiring as the owner had used lots of driftwood in his planting including giant tree roots and these looked really effective. Another unusual idea he had was to use a thick coils of rope as planters. Following this we visited a garden in Broughton village which was filled with bedding plants to produce a most impressive display. We all agreed that it was a very labour intensive garden. The highlight of the trip was our visit to Craigieburn near Moffat. We were given a wonderful welcome by the owners and a wonderful buffet lunch of home cooked goodies. The garden was immense extending over gullies, forest areas as well as large herbaceous borders. There were literally hundreds of plants for sale which were quite irresistible to most of us and we came away well pleased with our purchases. The coach was full and we had a great day. Craigieburn was a real find, a delightful garden and equally lovely people. 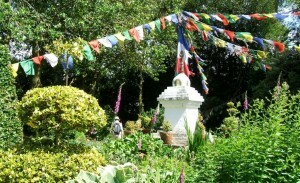 A Nepalese family works there and this added an extra dimension to the garden. Also the plant sale was really excellent! You might like to remind people that if they didn’t make yesterday’s trip it is well worth a visit – 2 miles out of Moffat on the Selkirk road. The Craigieburn team were really anxious for publicity, as they get visitors from all over the world but very few from Scotland for some reason. 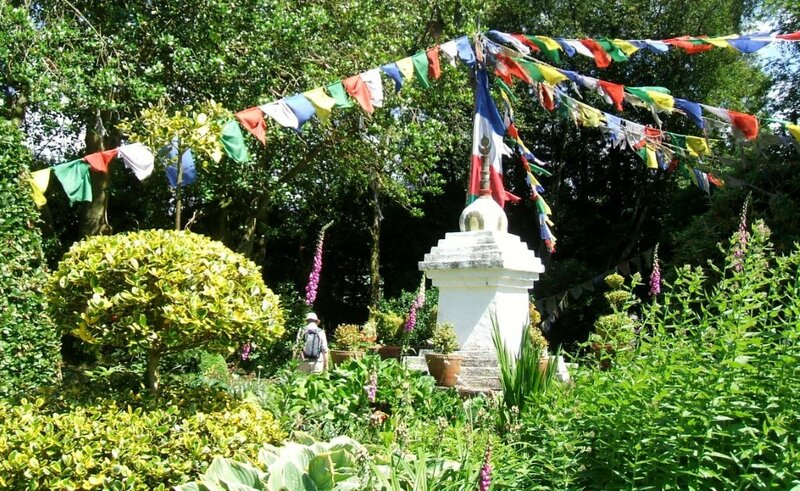 The gardens are multi-use for gardening, learning, socialising and are for all ages. They have attracted lots of different interest groups. They agreed to share all the land in common and not to divide it into separate plots for each group and this is working well. After the initial investment of about £50k their running costs are low. A current drain is the cost of renting the Portacabin. Any ideas? Volunteers from community groups schools and NHs service users all work in the garden which is remarkably productive in only its second year. It is open 7 days a week and staffed 3 days per week on Tuesday, Wednesday and Friday from 10.00 to 4.00. It has a limited life, as the Health Board my need to take it back, but the idea can be exported and the most likely next location is Musselborough Community Hospital. The Cyrenians look beyond NHS land and may identify other pockets which can be used. If you are interested in volunteering or just visiting then go on their website to see what current activities they have. Alison Cunningham and I have discussed and looked into going to Kevock Garden at 16, Kevock Road Lasswade. I spoke to Stella Rankin and she is happy to have a group visit. She charges £3 per head for a minimum party of 15. She says the garden will be lovely in early September and we have picked a date of Monday 5th September in the afternoon at 2.00. She can lay on tea and coffee on request for a £1.00 donation to charity. See more at www.kevockgarden.co.uk . Turn at the house and park along the wall of number 14 – very close in. Steep paths – Bring good shoes and mountain poles if you need them. Wednesday 6th July 6.30 p.m. We are going again to Falcon Bowling and Tennis Club, 84, Newbattle Terrace. There will be glass of wine and lots of roses courtesy of John Chalmers. Saturday 23rd July 10.30 a.m. Alison Cunningham at 7, Lauder Road a ‘take us as you find us’ local visit.